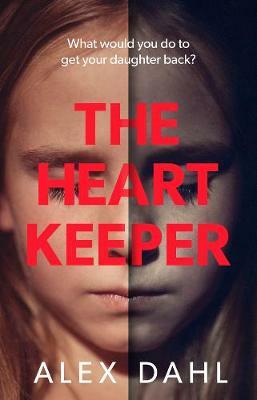 The Heart Keeper is by Alex Dahl. How do you mend a broken heart? It's been three months since Alison Miller-Juul's world fell apart when her six-year-old daughter, Amalie, died in an accident. Three months of sympathy cards, grief counselling and gritting her teeth, but it's still only the vodka and pills that seem to help. 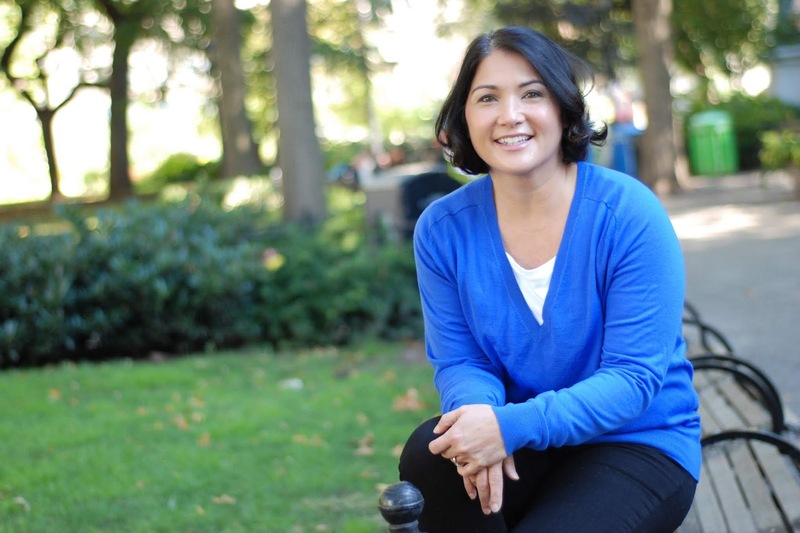 Across town, Iselin Berg's life is finally looking up. Her seven-year-old daughter, Kaia, has survived a life-changing operation. After years of doctors, medication and hope, they can now start thinking about the future. When Alison uncovers a dangerous secret, she is left in turmoil. She can now see a way to heal her broken heart, but will she risk everything to do so? 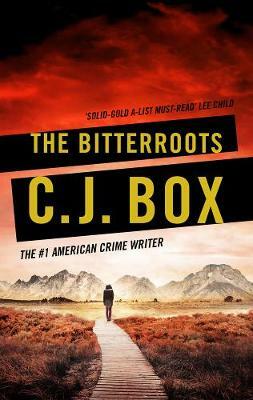 Bitterroots is by CJ Box. Former police officer Cassie Dewell is trying to start over with her own private investigation firm. Guilty about not seeing her son and exhausted by the nights on stakeout, Cassie is nontheless managing... until an old friend calls in a favor: she wants Cassie to help exonerate a man accused of assaulting a young girl from an influential family. Against her own better judgment, Cassie agrees. But out in the Big Sky Country of Montana, twisted family loyalty runs as deep as the ties to the land, and there's always something more to the story. As Cassie attempts to uncover the truth, she must fight against the ghosts of her own past that threaten to pull her back under. The newspapers called it The Bad Place. A remote farm out on the Thames estuary, where six children were held captive for two weeks. Five of them got out alive. That was twenty years ago. Now adults, they meet up annually to hold a candlelit vigil for their friend who died. The only rule is that no-one can talk about what happened the night they escaped. But at this year's event, one of them witnesses a kidnapping. A young girl, Sammi, is bundled into a van in front of their eyes. Is history repeating itself? Is one of them responsible? Or is someone sending them a twisted message? 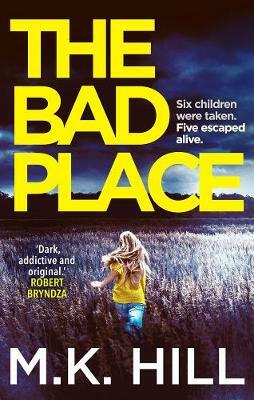 DI Sasha Dawson, of Essex Police, is certain that the key to finding Sammi lies in finding out the truth about The Bad Place. But she also knows that with every second she spends trying to unlock the past, the clock ticks down for the missing girl... The Bad Place is by M K Hill. Who really killed Leo Fenton? Two years ago, Ben Fenton went camping with his brother Leo. It was the last time they ever saw each other. By the end of that fateful trip, Leo had disappeared, and Ben had been arrested for his murder. Ben's wife Ana has always protested his innocence. Now, on the hottest day of 2018's sweltering heat wave, she receives a phone call from the police. Leo's body has been found, in a freshly dug grave in her own local churchyard. How did it get there? Who really killed him? St Albans police, led by DCI Jansen, are soon unpicking a web of lies that shimmers beneath the surface of Ana's well-kept village. But as tensions mount, and the tight-knit community begins to unravel, Ana realises that if she wants to absolve her husband, she must unearth the truth alone. 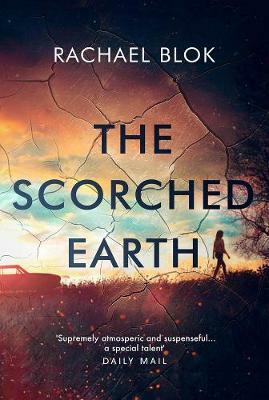 The Scorched Earth is by Rachel Blok. shutdown procedure. What secrets are her neural networks hiding? Michael North, ex-assassin and spy-for-hire, is the man to find out. But he can't work alone. Teenage hacker Fangfang, and Hawke's widow, a prize-winning ethicist, have their own reasons to solve the murder. But can they uncover the truth before it's too late? 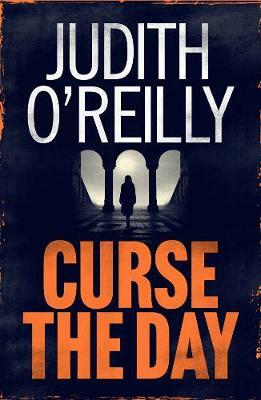 Curse the Day is by Judith O’Reilly. In the Net is by Chan Ho-Kei. Natasha, a librarian, lives a quiet life with her fifteen-year-old sister Anastasia. After a difficult, impoverished upbringing and the deaths of their parents, they are finally finding a bit of stability. Then one day, Natasha comes home to find her teenage sister has jumped to her death. Was it suicide, or was she pushed? And does it have anything to do with a recent trip on the Hong Kong subway which left Anastasia silent and withdrawn? Natasha cannot rest until she knows the truth about her sister - even if that means tracking down her sister's friends one by one and making them confess. Part detective novel, part revenge thriller, In the Net explores themes of sexual harassment, internet bullying and teenage suicide - and vividly captures the zeitgeist of Hong Kong today. 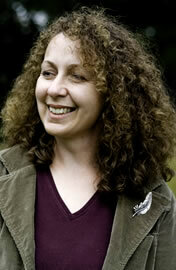 Blood Ties is by Helen Burnside. Adele Robinson is behind bars. Having been convicted for the murder of her abusive father, she quickly realises that she’ll have to play it tough if she’s going to survive. Meanwhile, her brother Peter is building his criminal empire on the outside. But he soon comes to the attention of Manchester’s rival gangs, and a turf war breaks out. And when things start to get bloody, only Adele can step in to protect the family business. Will she get out in time to save Peter? After all, blood is thicker than water, and when family’s in trouble you can’t look the other way. Here’s the quick summary of The Better Sister: Chloe Taylor thinks she has it all—a handsome husband (Adam), thoughtful stepson (Ethan), and thriving career (author, editor, budding cultural icon)—until she finds Adam murdered at their East Hampton beach house. Things manage to get even more complicated when police focus their suspicions on Ethan and his biological mother comes to town to try to help. An added wrinkle? Ethan's mother (and Adam's ex-wife) is Chloe's estranged older sister, Nicky. Even that brief synopsis makes it clear that the book will delve into the fine line between sisterly loyalty and rivalry. 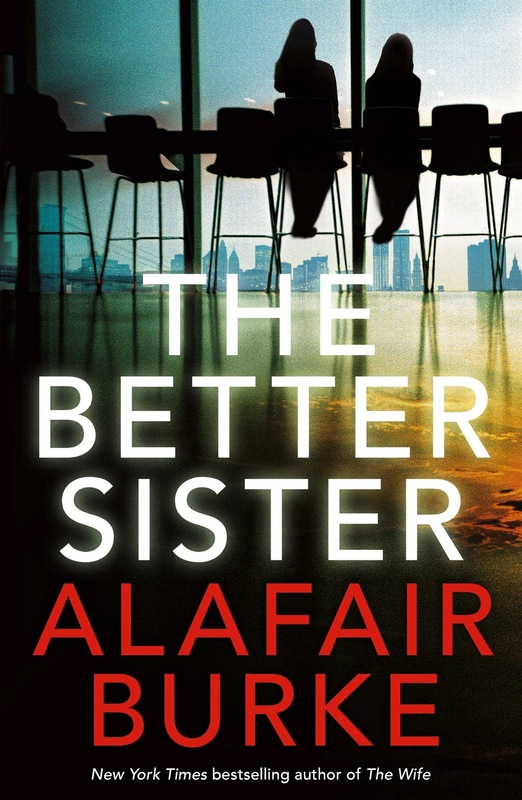 But I view The Better Sister as the third book in a thematic trilogy, following The Ex and The Wife, that explores the complexity of female relationships and the diverse roles that women play in contemporary society. As we juggle busy lives, we often show different faces to our spouses, exes, children, parents, siblings, and co-workers, all while trying to know and be true to ourselves. Chloe and Nicky know each other only as siblings. Adam knew them both as wives. To teenaged Ethan, Chloe and Nicky are each a different type of mother to him. And both women have independent existences where they can live without familial obligation. It’s in that independent realm where the women of this trilogy of books have, I hope, provoked some thoughts about the often gendered nature of threats, abuse, and violence in our culture. In The Ex, an accomplished criminal defense lawyer steps in to defend her ex after he’s accused of a mass shooting. The Wife is about Angela Powell, who’s dragged into the spotlight after her high-profile husband is accused of sexual assault, but has a survival story of her own. In The Better Sister, Chloe Taylor is a target for online threats and harassment because of her journalistic work related to the #MeToo movement. With Deutschland 83 having just returned to the small screen, in the shape of Deutschland 86, you might think that – in setting my crime thrillers in the German Democratic Republic (more commonly known as East Germany) – I am simply following a fashionable trend. That was never my aim. 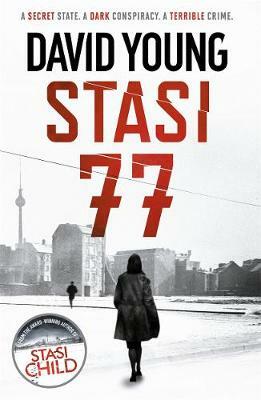 My original inspiration for the Stasi Child series -- which now continues with its fourth instalment, Stasi 77-- has been documented elsewhere. A decade or so ago, I started a little indie-pop band, we managed to blag a tour of Germany, and I was surprised and inspired by the amount of GDR infrastructure still visible in the eastern part of the country. 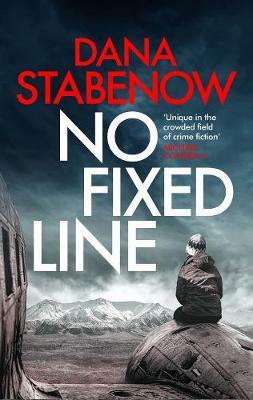 That led to a trial chapter from Stasi Childon a creative writing MA, and my tutor – Northern Irish crime writer Claire McGowan – encouraged me to turn it into a novel (despite, at every turn, telling me she hated my choice of title). But in researching Stasi ChildI discovered a wealth of weird and wonderful stories in East Germany, some of which I’ve now fashioned into novels. 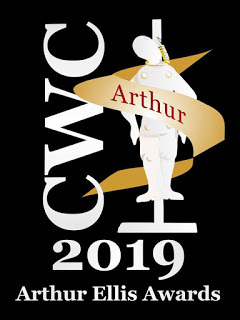 It wasn’t a conscious choice to become a historical crime writer (Stasi Childwas fortunate enough to win the CWA’s 2016 history dagger for the best historical crime novel of the year), it was simply an automatic follow-on from choosing an East German setting. East Germany has disappeared. It’s a lost world. Unless I wanted to invent a parallel universe in the shape of Robert Harris’s Fatherland, I was automatically in the historical pigeon hole. It’s quite a comfortable home for me, however. I’ve always been interested in history, and despite giving it up before ‘O’-levels (I was forced instead to do Latin, which I hated) my Humanities degree in the late 1970s at the then Bristol Polytechnic was pretty much – in effect – a history degree as a result of my module choices, and my dissertation on British attitudes to Stalin’s purges of the 1930s. Stasi 77 is steeped in history – both from the GDR era, and that of the Nazi period. In fact, its inspiration was taken from a Nazi massacre in the final weeks of the Second World War, onto which I’ve bolted a fictional crime story set in 1977. Hence the novel’s title. It’s a novel I thoroughly enjoyed researching and writing, despite its sometimes horrific content. Once again, as in my debut and the follow-ups – Stasi Wolf (2017) and A Darker State (2018) – there is a twin narrative. 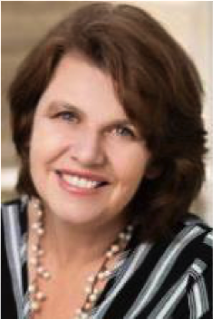 One is told in third person past through the eyes of my detective, Major Karin Müller of the People’s Police. The other – which I found particularly traumatic to write – is through the eyes of a French forced labourer at the Nazi’s V2 rocket factory near Nordhausen, who ends up enduring one of the infamous ‘death marches’ towards the end of the war. Where that march ends, is where the action takes place – both in 1945, and in 1977. It’s a novel that’s important to me, and I think it’s my best yet. I hope you’ll read it and agree. A secret State. A dark conspiracy. A terrible crime. Karin Muller of the German Democratic Republic's People's Police is called to a factory in the east of the country. A man has been murdered - bound and trapped as a fire burned nearby, slowly suffocating him. But who is he? Why was he targeted? Could his murderer simply be someone with a grudge against the factory's nationalisation, as Muller's Stasi colleagues insist? Why too is her deputy Werner Tilsner behaving so strangely? As more victims surface, it becomes clear that there is a cold-blooded killer out there taking their revenge. Soon Muller begins to realise that in order to solve these terrible crimes, she will need to delve into the region's dark past. But are the Stasi really working with her on this case? Or against her? For those who really run this Republic have secrets they would rather remain uncovered. And they will stop at nothing to keep them that way . . .
None of the above books are eligible for the new McIlvanney Prize for debut fiction - which requires authors to be born in Scotland live in Scotland or set their books there - so there is still all to play for. Entries for the prize close at 5pm on Friday 26 April. PDFs of the book (published between 1 August 2018 and 31 July 2019) should be sent by email to Director, Bob McDevitt bob@bloodyscotland.com with McIlvanney Prize Entry 2019 plus the book title in the header. 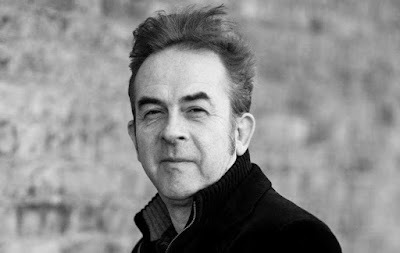 The winner will be selected from the highest scoring titles in the first round and judged by the board of Bloody Scotland, including crime writers Lin Anderson, Craig Robertson, Gordon Brown and Abir Mukherjee. A new Scottish debut panel will precede Alex Gray’s New Crimes event so the morning of Saturday 21 September at Bloody Scotland is the place to be for discovering new crime fiction. The Scottish debut line up will be revealed after the programme launch on 3 June (in Stirling) and 4 June (in London). 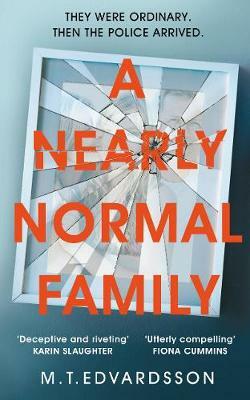 A Nearly Normal Family is a psychological thriller from M. T. Edvardsson and asks what would you do if your child was suspected of murder, how far would you go to protect them? Do you want to know the truth? Every murder case starts with a suspect. What if the suspect is your daughter? Would you believe her, or the evidence against her? The Father - Believes his daughter has been framed. The Mother - Believes she is hiding something. The Daughter - Believes they have no idea what she's truly capable of . . . There are three sides to the story. And the truth will shatter this family to pieces. It is 1949 and handsome, young ex-soldier Aloysius Archer arrives in Poca City, Oklahoma. On parole following a stint in prison back east when he was convicted of a crime he didn’t commit, Archer is looking for a fresh start and a peaceful life after his wartime experiences in Italy. However, he soon understands that there’s a lot more going on in this town than he’d bargained for as he meets some very colourful, extremely intriguing and often dangerous residents living above and below the law. All seem to have deeply buried secrets which he must uncover if he’s to avoid going back behind bars. One Good Deed is by David Baldacci. 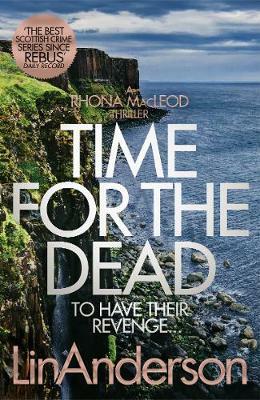 Time for the Dead is by Lin Anderson and sees forensic scientist Rhona MacLeod discover that a terrifying war is unfolding on Scotland's Isle of Skye. When forensic scientist Rhona MacLeod returns to her roots on Scotland's Isle of Skye, a chance encounter in the woods behind a nearby activities centre leads her to what seems to be a crime scene, but without a victim. Could this be linked to a group of army medics, who visited the centre while on leave from Afghanistan and can no longer be located on the island? Enlisting the help of local tracker dog Blaze, Rhona starts searching for a connection. Two days later a body is found at the base of the famous cliff known as Kilt Rock, face and identity obliterated by the fall, which leads Rhona to suspect the missing medics may be on the island for reasons other than relaxation. Furthermore, elements of the case suggests a link with an ongoing operation in Glasgow, which draws DS Michael McNab into the investigation. As the island's unforgiving conditions close in, Rhona must find out what really happened to the group in Afghanistan, as the consequences may be being played out in brutal killings on Skye . . .
Has the killer in DC Maggie Neville's cold case returned after a decade of silence? Katy Pope was seventeen when she was brutally murdered on a family holiday in Majorca. Despite her mother's high rank in the Met and the joint major investigation between the British and Spanish police, Katy's killer was never caught. 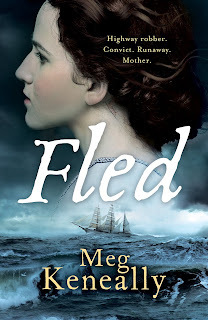 Ten years later, Katy's family return to the Spanish island to launch a fresh appeal for information, taking with them the now skeletal team of investigating Met detectives, and newly seconded Maggie as the family liaison officer. But Maggie's first international investigation quickly goes from being more than just a press conference when another British girl there on holiday goes missing, and Katy's killer announces that it's time for an encore . 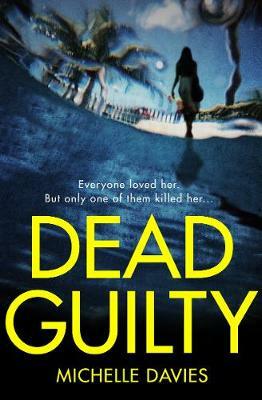 . . Dead Guilty is by Michelle Davies. 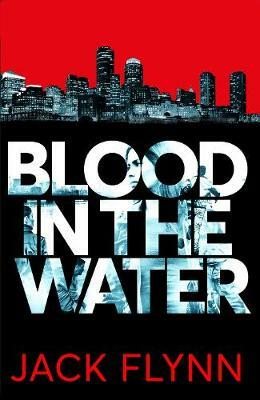 Blood in the Water by Jack Flynn is a thriller set in Boston in the gritty world of mob bosses, con artists and gangs, where allegiances are formed with law enforcement and criminals just as easily as they are broken. Homeland Security agent, Kit Steel, is committed to avenge terrorism. And she's after the blood of her nemesis, one of world's most ruthless and dangerous criminals, Vincente Carpio. He has the blood of her husband and young son on his hands, and Kit is unwavering in her determination to see him kept behind bars forever. Clever, calculating, and manipulative, Carpio has aid and influence on the outside, and he's waiting for the perfect moment when the final pieces of the jigsaw fall into place. Harbour Union chief, Cormack McConnell, has lived his life close to the wire above and below the law, and he controls everything that happens on Boston's waterfront. Someone wants him out of the way, fast. After he narrowly survives a brutal attack on his bar, The Mariner, complications arise when Cormack believes he's been betrayed by one of his crew - a young man, Buddy Cavanaugh, who he's shocked to discover is the love of his precious nineteen-year-old daughter, Diamond. Everyone has a game to play until it becomes apparent that there are much darker, far-reaching forces of evil at work which look to be preparing for the international stage. What follows is a gripping race against time, a rollercoaster action-packed story with international terrorism at its core and family at its heart. 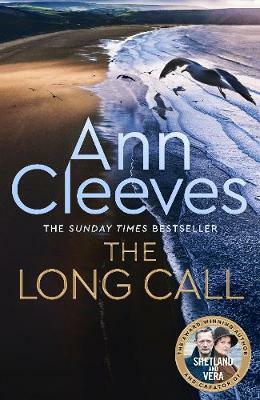 The Long Call is the first book in a brand new series by Anne Cleeves. In North Devon, where the rivers Taw and Torridge converge and run into the sea, Detective Matthew Venn stands outside the church as his father's funeral takes place. The day Matthew turned his back on the strict evangelical community in which he grew up, he lost his family too. Now he's back, not just to mourn his father at a distance, but to take charge of his first major case in the Two Rivers region; a complex place not quite as idyllic as tourists suppose. A body has been found on the beach near to Matthew's new home: a man with the tattoo of an albatross on his neck, stabbed to death. Finding the killer is Venn's only focus, and his team's investigation will take him straight back into the community he left behind, and the deadly secrets that lurk there. This is not a detective story, this is a story about the making of a detective . . . William Warwick has always wanted to be a detective, and decides, much to his father's dismay, that rather than become a barrister like his father, Sir Julian Warwick QC, and his sister Grace, he will join London's Metropolitan Police Force. After graduating from university, William begins a career that will define his life: from his early months on the beat under the watchful eye of his first mentor, Constable Fred Yates, to his first high-stakes case as a fledgling detective in Scotland Yard's arts and antiquities squad. Investigating the theft of a priceless Rembrandt painting from the Fitzmolean Museum, he meets Beth Rainsford, a research assistant at the gallery who he falls hopelessly in love with, even as Beth guards a secret of her own that she's terrified will come to light. While William follows the trail of the missing masterpiece, he comes up against suave art collector Miles Faulkner and his brilliant lawyer, Booth Watson QC, who are willing to bend the law to breaking point to stay one step ahead of William. Meanwhile, Miles Faulkner's wife, Christina, befriends William, but whose side is she really on? 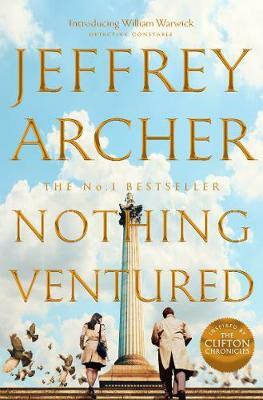 Nothing Ventured is by Jeffrey Archer. 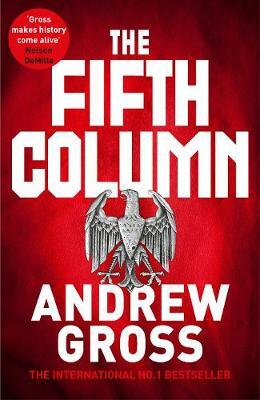 The Fifth Column is a novel about the only man who can thwart a Nazi sympathizer uprising in New York during the Second World War, by Andrew Gross. A Man in Trouble - February 1939 and Europe is on the brink of war. Charles Mossman is in a bar in Hell's Kitchen, New York, reeling from the loss of his job and his failing marriage, whilst outside thousands of Nazi sympathizers are attending a hate-spewing rally. As he confronts one, Charles makes a horrendous mistake with deadly consequences. A City of Secrets - Two years later, Charles is released from prison and tries to reunite with his family. The US has kept out of the war for now but the pressure in the city is rising as those sympathetic to the Nazi cause lay the foundations for what lies ahead. The Enemy Within - As he tries to make amends with his wife and daughter, Charles starts to understand that surrounding them there are forces that will use any means necessary to bring about the downfall of his nation. And when his daughter is befriended by a seemingly amiable Swiss couple, it brings to the surface his fears of a 'Fifth Column' of embedded German spies in their new neighbourhood. All Charles wants is to redeem himself as a husband and father, but sometimes a man must do questionable things to stand up for his family and what he believes, even sacrificing his life to do so . . .
Solomon knew that he had one advantage. A pawn ticket belonging to a dead man tucked into his top pocket - the only clue to the truth . . . An old soldier dies alone in his Edinburgh nursing home. No known relatives, and no Will to enact. Just a pawn ticket found amongst his belongings, and fifty thousand pounds in used notes sewn into the lining of his burial suit . . . Heir Hunter, Solomon Farthing - down on his luck, until, perhaps, now - is tipped off on this unexplained fortune. Armed with only the deceased's name and the crumpled pawn ticket, he must find the dead man's closest living relative if he is to get a cut of this much-needed cash. But in trawling through the deceased's family tree, Solomon uncovers a mystery that goes back to 1918 and a group of eleven soldiers abandoned in a farmhouse billet in France in the weeks leading up to the armistice. 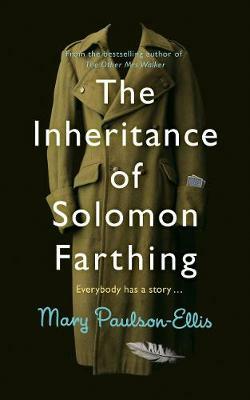 Set between contemporary Edinburgh and the final brutal days of the First World War as the soldiers await their orders, The Inheritance of Solomon Farthing is Mary Paulson-Ellis and shows us how the debts of the present can never be settled unless those of the past have been paid first . . . 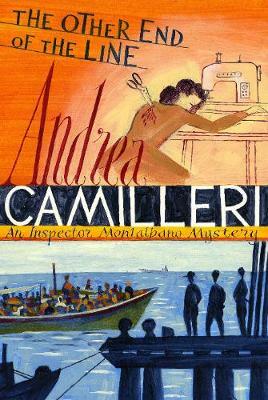 The Other End of The Line is by Andrea Camilleri. In Inspector Montalbano's coastal town of Vigata, a surge of migrants have been coming in by boat, and all the town's hands are on deck to help the arrivals. At the heart of the scene are the police - on the lookout for the people smugglers responsible - and long night-shifts are rendering Inspector Montalbano and his officers exhausted. 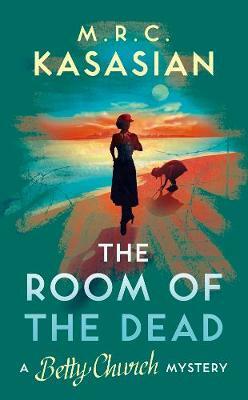 Then one night, while Montalbano is enduring yet another gruelling stint at the port, a separate crime is committed - unexplained, unexpected, and unpleasant. 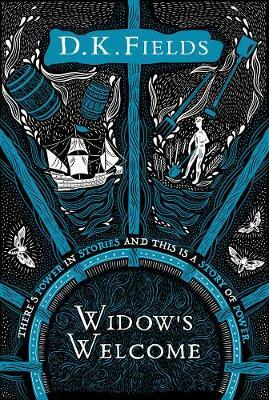 Elena, the dressmaker at the town's famous tailors, has been found dead - slaughtered by her own scissors . 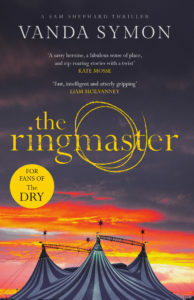 . . As a swell of desperate people arrive in search of a better life, Inspector Montalbano finds himself trying to unravel the mystery of who murdered the dressmaker. But as he makes his enquiries, the Inspector can't help but wonder: what will happen if he keeps tugging on this thread? And what will he find at the end of the line? SS SS I will remind you that anything you say can be taken down as evidence and held against you at a later date. VS Noted. As long as you don’t whine about it. SS First up, why did you make me so bloody short? VS You’re not short, you’re vertically challenged. VS Oooh, enough with the eye-daggers. There was good reason for that. My Mum was a shortie, she just squinked in over 5 foot tall, so she was small but mighty. One of the things she often complained about was that when you were short, people didn’t take you seriously, so I thought, it’s always good to give your characters a challenge to overcome, I’ll make her short. VS You’re welcome. But there are distinct advantages to being short. SS Yeah, right. If there are I haven’t encountered them yet. VS Actually, you have. When people don’t take you seriously, they underestimate you. And dare I say it, Sam, people underestimate you at their peril. SS Okay, come to think of it you might have a point there. I’ll give you a begrudging thanks. VS Sometimes I happen to know what I’m doing. Not always, but occasionally I get it right. SS Hmmmmm. So, do people ask you if you are me? I mean, I am you? That sounds weird, but you know what I mean. VS People often ask me if I am you, but no. I have far better manners, don’t swear as much as you do and have better taste in pyjamas. But seriously, you are definitely your own woman. You arrived fully formed, full of the saSS, quirks and insecurities we love about you. If you insist on trying to find common ground, there is one characteristic of mine that you share, it is our hopeless optimism and faith in people. SS So if you’re not me, who are you like? VS People tell me I’m a lot like my mum, which I take as an immense compliment, but if I was like anyone in your world, I am more of a Maggie – a steady Eddie. SS So if your mum was so cool, how come mine is such a battle-axe? VS Your mum is not a battle-axe. Sure she can be a bit stubborn and abrasive, and she seems a bit stand offish and judgemental with you, but she loves you to pieces, and don’t you ever forget that. Truth be told, you are both quite a lot alike. SS I’m nothing like her! VS Protest all you like. In case you hadn’t noticed, your dad’s besotted with the both of you. Doesn’t that tell you something? So, if they happened to make a movie, or put me on telly one day, who would you want to play me? SS Who would you want to play you in a movie? SS Sure. Of all the things you could have made me addicted to, why was it a biscuit? Why Toffee Pops? VS Hellloooooo, Toffee Pops – does that need explaining? VS And it does mean I have to do quality control research on them regularly - for your benefit, of course. SS Naturally, sacrifices you make. VS You have no idea.